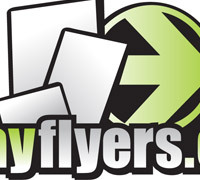 Enter to win 250 custom printed flyers from NextDayFlyers.com to ring in the New Year. Entering the contest takes seconds. Read on to find out how to win and exactly what you’ll be winning. How would you like to win 100 free custom printed stickers? NextDayFlyers.com has partnered with Visual Swirl to give one lucky reader 100 2″x3.5″ custom stickers for free. Entering the contest takes seconds. Read on to find out how to win and exactly what you’ll be winning. 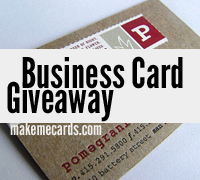 How would you like to win 500 free business cards? NextDayFlyers.com has partnered with Visual Swirl to give one lucky reader 500 high quality business cards for free. Entering the contest takes seconds. Read on to find out how to win and exactly what you’ll be winning. Looking for the perfect solution for including surveys on your website? 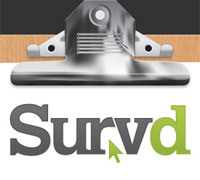 Survd is brand new web app that is easy to use and allows you all the benefits of professional surveys without any of the headaches. We’re giving away one free license of Survd to one lucky reader of the blog. 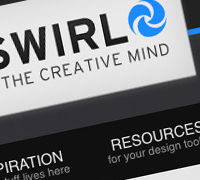 Visual Swirl is just over 1 year old and our first birthday went by very quietly. It’s been somewhat bleak on the blog for the last few months but all that’s about to change. So get excited because around the first of the year, a fresh, brand-spanking-new Visual Swirl will be unveiled. Here’s a little more about the changes. 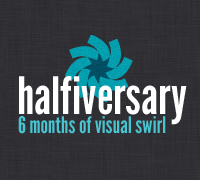 Last Tuesday marked 6 months of blogging at Visual Swirl. While it’s been a little slow on the posts the last few weeks, I’ve thoroughly enjoyed my first half year of blogging on design. What follows is a quick summary of those months with some thank yous and a preview of what’s on the horizon. 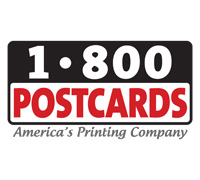 Winner is announced for the giveaway of 500 full color offset printed UV Coated business cards from Makemecards.com. 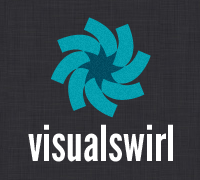 When I first launched Visual Swirl two months ago, I wasn’t sure if this whole blogging thing would stick. Luckily I’ve had some great success over the first 60 days (thanks mostly to you all) and I decided that a custom look was needed to really take the Swirl to the next level. That’s why, I’m excited to announce a new look (as you can see) for the blog. Let me quickly walk you through a few of the highlights. Announcing the winners for the Make 2010 a Year for Giving Giveaway.